There is an industrial revolution afoot. 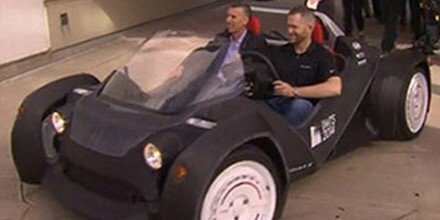 Every industry on Earth is being affected by changes brought about by 3D printing. 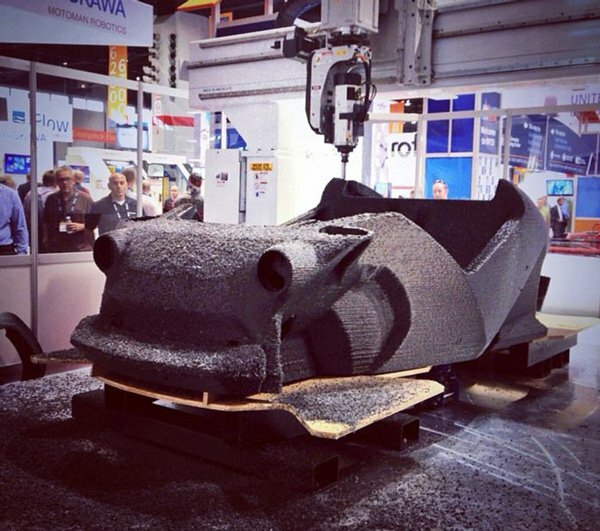 The umbrella term is ‘additive manufacturing’, an appropriate name to describe the technologies that build 3D objects, and you are likely to be hearing a whole lot more about this industrial disruptive force over the coming years. ... and exceed $17 billion by 2020. The stock we’re bringing to you today listed on the ASX in December 2016 after raising $6 million, but already has a strong foothold in this industry and a growing reputation. The California-based founders have appeared on Forbes ’ 30 Under 30 list for Manufacturing & Industry and the company is one of the top 3 companies (in terms of current market share) developing 3D printers in the largest market globally: the US. Now before we go too far, we should note that this is an early stage tech stock, and investors should seek professional financial advice if considering for their portfolio. Essentially, this company designs and distributes 3D printers and associated products for the desktop segment of the 3D printing industry. Its business model is focused on capturing the rapidly rising demand for STEM (science, technology, engineering, mathematics) curricula in schools where global government initiatives are putting 3D technology in the hands of students to provide skills for the future. It is estimated the Ed-Tech market, to which this company has pinned part of its future, will become a $252 billion market by 2020 . The company is also focused on mass customisation for consumer markets. For consumers in particular, the rise of home manufacturing is leading to an upswing in consumer 3D printing solutions. This company’s business model has already captured the attention of some big global hitters including Best Buy, Staples and Amazon in the US, with its new high performance smart 3D printer Robo R2 being manufactured by Foxconn. Foxconn is the world’s leading contract manufacturer for consumer electronics (including Apple), and has an initial capacity of 10,000 R2 units annually. The company has an almost unrivalled retail footprint in its home market of the US, and has expanded into more than 20 new education districts throughout the USA, which is set to expand further through the large reach delivered via its distribution agreement with WYNIT and Promevo, one of the largest Google App and Chromebook resellers in the US. It is also aggressively expanding internationally with recent agreements with major retailers in Canada – where it has an eye for expansion – with Best Buy, Staples, NCIX and The Source. With an enormous amount of momentum behind it, this award winning company is quickly intensifying its reach, whilst consistently increasing its revenues. 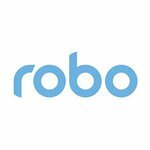 In fact the company recently announced it has over $800,000 in pre-orders received for Robo R2, which are expected to be delivered this month. Within our lifetimes, we are likely to see the day where manufacturers ‘send’ goods to their customers, for their customers to mass customise. This ASX listed company is looking to be at the forefront of that change. 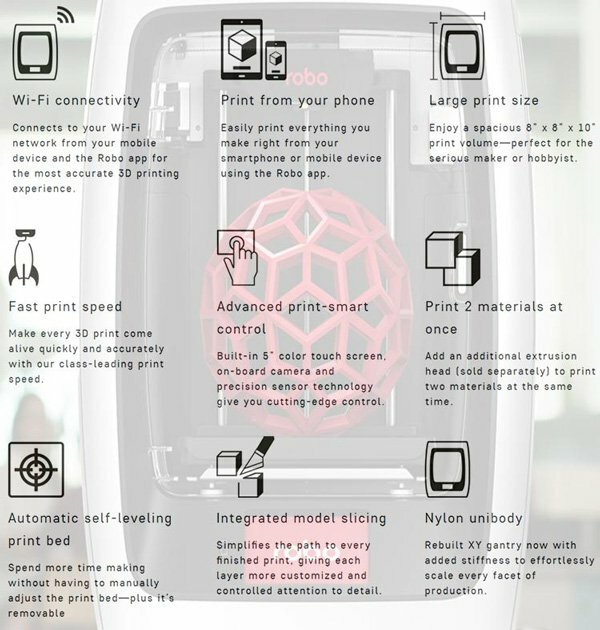 Primarily for consumer and education markets, RBO’s 3D printing solutions including its new Robo R2, for which it already has $800,000 worth of presales to be delivered this month , and C2 printers are high-performance, smart 3D printers with built-in Wi-Fi and slicing, filament run-out detection, colour touch screen, removable build-plate and is app-enabled. Essentially, RBO has created a method for automated machines to literally construct items large or small to order, on demand, and according to detailed schematics that can be designed, bought, sold and exchanged, as if a commodity in its own right. In 3D printing, small-scale items can now be manufactured with incredible precision, speed and durability, and customised to the user’s preference. RBO’s 3D solution even comes with a phone app, so absolutely anyone (and everyone can use it) to make their 3D printing experience truly mobile and futuristic to the core. You can print (or manufacture) the same item at home – only with added modifications, a change of colour and build material, if needed. Borrowing an analogy from a photographer’s parlance; RBO is facilitating a ‘point-and-shop’ user experience, and then empowering the same consumer with the ability to create anything they need or desire. 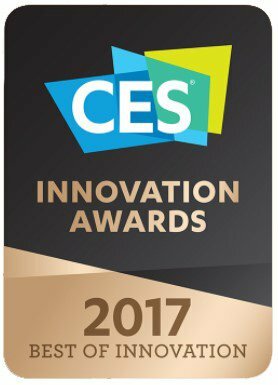 We hope you noticed the CES Innovation Award badge, handed to this company earlier this year. We’re not messing about here on the Next Tech Stock . As we mentioned in the introduction, our ASX tech steed on this occasion is one of the top 3 companies (in terms of current market share) developing domestic 3D printers in the largest market globally: the US. It also has expansion plans taking into account distribution into key European markets and launching into the Australian and selected Asian markets. RBO has already delivered over 12,000+ printers to customers in over 75 countries. And has resellers in six international markets and Amazon as a wholesale customer across major European countries. At the same time, continued expansion at this pace is no guarantee for RBO. The company is still an early stage play, and investors should do their own due diligence on the company before choosing to invest. Given this momentum, it is no surprise RBO’s founders, Coby Kabili and Braydon Moreno, have been awarded highly-prized ’30 under 30’ awards, for millennial innovation in the Manufacturing space, by Forbes Magazine. Now on the ASX, we think these robo-manufacturing disruptors are well-worth a scan, and as you’ll soon see, quite possibly worth chiselling out a reasonable chunk of any small-cap-preferential, tech-focused, savvy stock market investor’s portfolio. As long as you’ve got a keen eye for what tomorrow’s world is going to look like, of course. Having combed through RBO’s idea and business plan, as well as comparing it to its peers as a contrast — this $18.6MN-capped company looks to be on the precipice of a significant re-rating, as word gets out and sales start coming in. Here’s a look at how RBO stands out from the crowd. ... and plans to ramp its sales tally even further through recent, and imminent, distribution agreements. If sales pan out, especially with its new R2 product, RBO could be motoring up the valuation scale – as you would expect if a company launches a hotcake into the hordes of insatiably tech-minded consumers these days. As with most new technologies, when it comes down to the crux of whether a product and its parent company make money, is often closely correlated to how good the bloody thing is. There’s a reason why Apple and Samsung phones dominate the mobile phone market, and why HP and Epson dominate the printer market — it’s because they make the best products, that consumers trust and can depend on. On this quality front, RBO is ahead of most of its peers due to its technical prowess, blended with usability and collaboration via mobile devices and customer experiences. 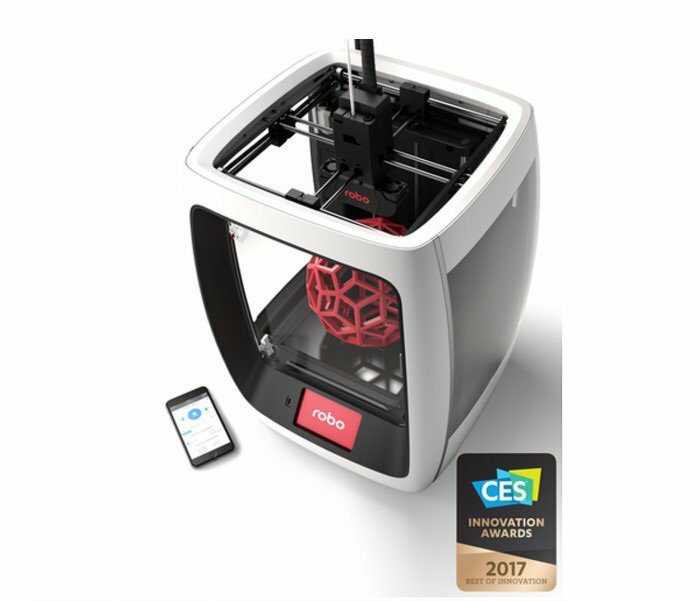 RBO has delivered a product that customers love and can’t get enough of, has won multiple awards, and possibly most importantly, RBO’s original R1 printer has gained a bit of a cult following from early-adopters and 3D printing enthusiasts. The review passes ‘Hacker House’s’ tests with flying colours, although he does note there is room for improvement. 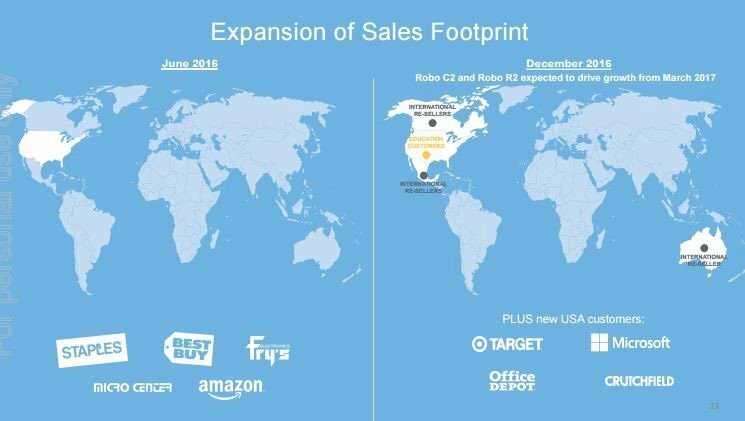 Hence RBO’s Robo R2 and C2s versions which are winging their way to thousands of actual store shelves across North America, and thousands more via online marketplaces and other vendors. 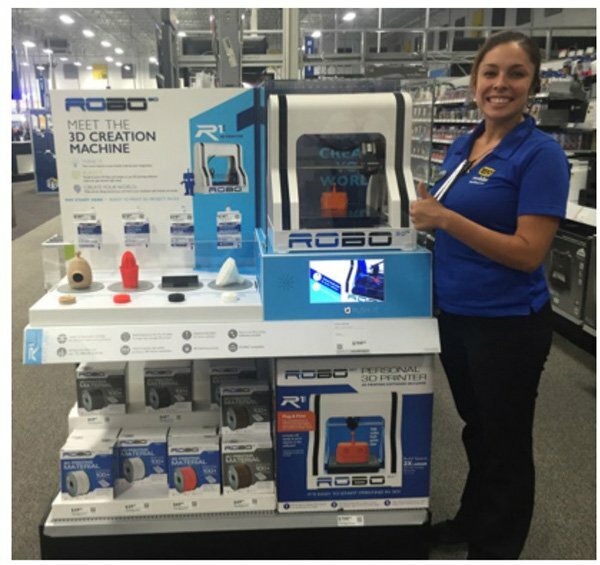 RBO’s product has won multiple awards for effectively ‘doing an Apple’ in the 3D printing industry. 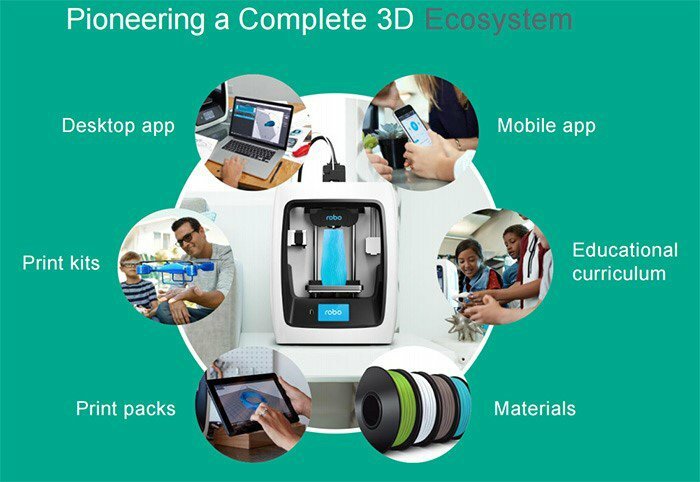 In other words, the company has embraced the concept of focusing the user experience, the product’s ease-of-use and the entire ecosystem – which includes filament, DIY printing kits such as drones and electric guitars, and a 3D printing education curriculum that provides a full turnkey solution to schools – that the product inhabits. Apple has done this supremely well, and RBO has clearly taken a leaf out of its book. This ecosystem gives us confidence RBO will continue growing its sales numbers, deliver on upgrades and keep ahead of the 3D printing pack by offering greater value to customers and channel partners through broader after-market service and more solutions. 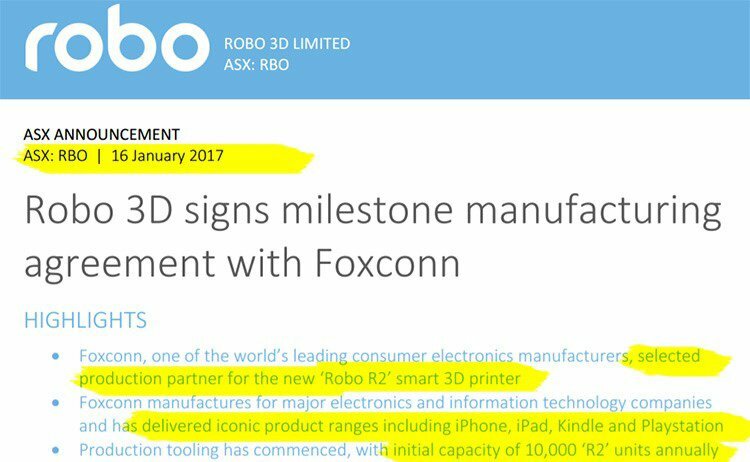 And speaking of similarities with Apple, RBO has also partnered with Foxconn as its manufacturing-partner. RBO is selling an experience and an ecosystem – not just hardware. After-market sales including consumables such as filament, DIY print kits (drones), designs, refills, spare parts, and training and professional development, all supported by 24/7 customer service out of the US. Over the next decade or two, the 3D Printing Revolution has the potential to mirror the PC Revolution of the 1980s and 1990s. So too, 3D printing will go from strength to strength in terms of periodic improvements. 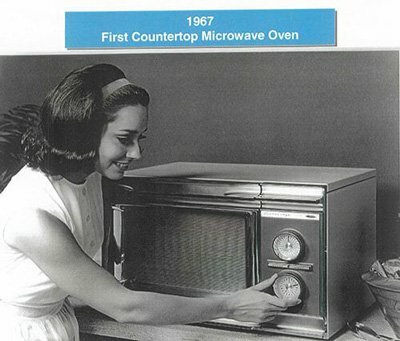 Remember, that the 3D printing industry is fairly novel and remains firmly rooted at the embryonic side of the spectrum — just like PCs and microwaves were in the 1970s. Eventually, as familiarity with the underlying technology grows, so too does the quality of the technology itself, especially as companies such as RBO invest heavily in generations of future customers to create broader market acceptance. This aim will be further advanced by the likes of students who are being integrated into this new 3D learning paradigm. 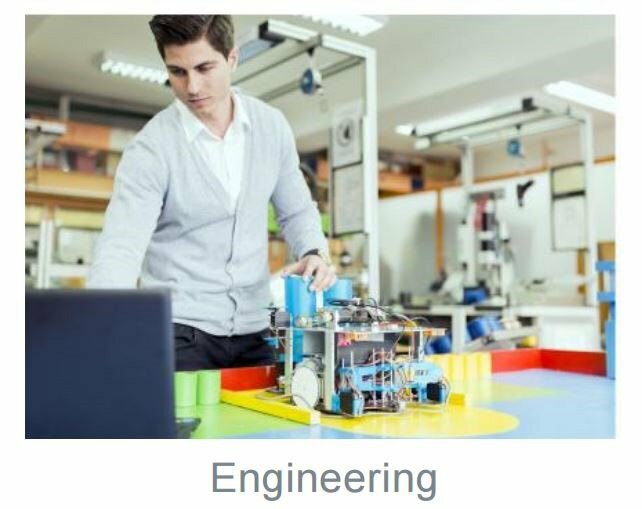 By getting into the integral education sector at an early stage, RBO wants to become a household name in 3D printing, just like Apple & IBM became household names in PCs, helping to lead their development from simplistic and rudimentary functionality, to sci-fi levels of computing power, precision and style. RBO’s stated goals in entering the education market are to develop alliances with key providers of 3D-related curricula, partner with existing technology vendors to the education segment and support initiatives to STEAM in schools (that’s STEM, but with the Arts added). The education technology market is growing significantly and at rapid pace. 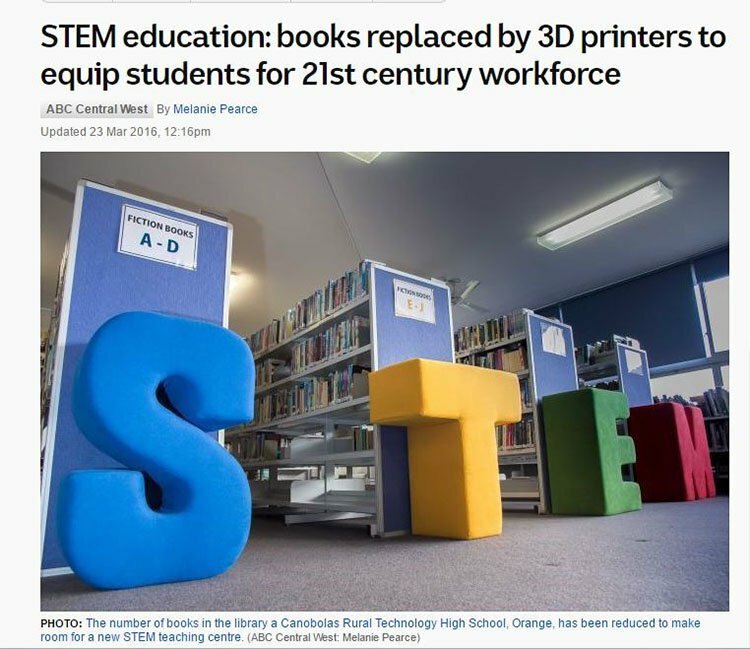 It is estimated that educational institutions in the US spent over US$11 billion in IT in 2015, meanwhile over in the UK the likes of former British politician Lord Kenneth Baker has said in his book The Digital Revolution that every UK Primary School should have a 3D printer. It is becoming more and more evident that 3D printing has a role in education and can provide learning opportunities in history and geology, art, math, engineering, architecture and biology and chemistry. It is why RBO continues to expand its education footprint. A major distribution agreement with WYNIT , a leading North American wholesale distributor of emerging technology, could enable RBO to further entrench itself into the US education market. 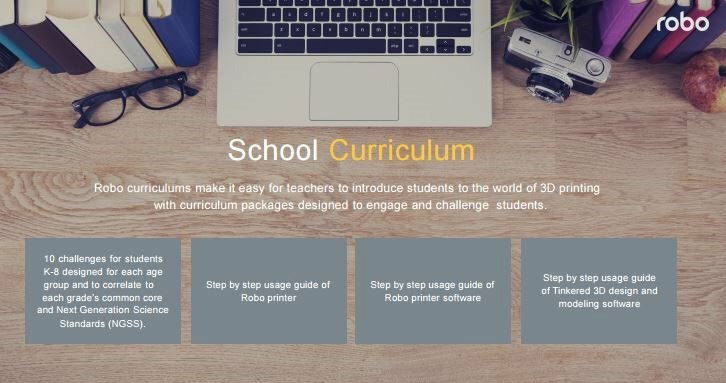 RBO has developed software educational curricula that provides educators with lesson plans by using 3D printing. The company has also signed an agreement with a leading US Ed-Tech technology provider, Promevo to sell RBO’s 3D printers and ancillary products including filament and projects kits. Promevo is one of the largest resellers of Google Apps and Chromebooks in the currently US$8 billion+ technology market in the US. This alliance is also designed to provide educators and students with a seamless 3D printing experience, optimising 3D printing for STEAM based curricula in classrooms across the US. 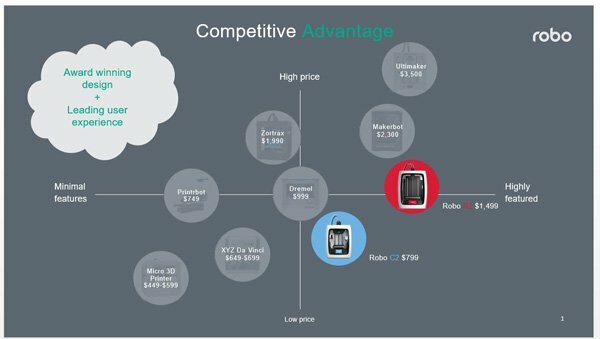 The further RBO can entrench itself into the Ed-Tech market, the closer it could come to a significant re-rating sometime soon — as long as RBO can substantiate its case of gradually becoming one of the best-selling 3D printer manufacturers globally for the consumer and education markets. Back in 1908, Henry Ford revolutionised the production process by introducing automation, economies of scale and improved use of materials. However, one of the biggest snags for anything that’s mass-produced is customisation. Back in the 1920s, Henry Ford famously said that customers “can have any colour they like, as long as it’s black”. 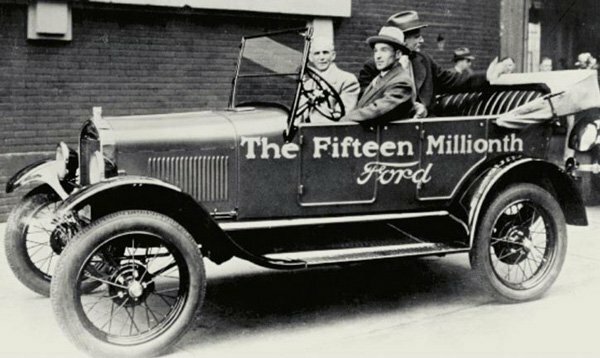 Ford’s first mass-produced car took over 3 days to manufacture, but by 1925, and the sale of Ford’s 15 millionth car, the entire process took less than 1 hour. The power of economies of scale and cheap labour, made the first Industrial Revolution a reality. Fast forward to today, and something eerily similar is afoot. International Manufacturing Technology Show in Chicago, back in 2014, the finished article rolled off the expo auditorium with not a single labourer in sight, or a single workplace accident to be heard of. That’s right Ladies and Gents — the world’s technological capabilities are sky-rocketing, and the only losers are inefficiency and waste. What took Henry Ford a lifetime of work, can now be downloaded onto your computer and fed into a machine that can manufacture it for you. This is truly disruptive technology rivalling the printing press, microprocessors and sliced bread. 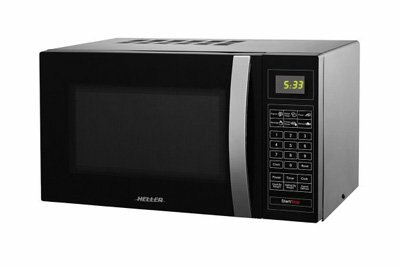 What could be more exciting than self-made products, built exactly to specifications, in the comfort of your own home, and cheaper than existing technology? ...and being invested in a company that’s at the forefront of making all this sci-fi-level technology, a reality in the here and now. At the same time, there is no guarantee an investment in RBO will turn out successful. Consider your own risk profile and personal circumstances before investing in speculative tech stocks like RBO. 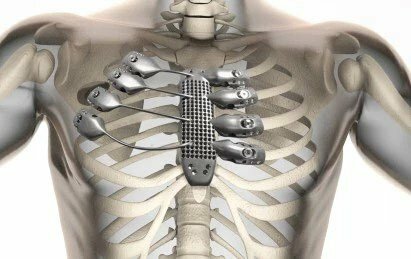 Last year, courtesy of the CSIRO, a cancer patient received a 3D printed titanium sternum and rib cage designed and manufactured at Lab 22 by Anatomics, an Australian bio-device manufacturer in partnership with the CSIRO. Some of the lab’s other wonders include jet engines , horseshoes , mouth-guards and even heel implants . RBO itself ran its “Printing with a Purpose” campaign during the annual Consumer Electronics Show (CES) in Las Vegas that resulted in a donation of 35 3D printed prosthetics to the Enable Community Foundation (www.enablecommunityfoundation.org), a global network of passionate volunteers using 3D printing to “give the world a helping hand. The common denominator is that all of these components are customised and made to order for a specific patient or definitive end-use. Manufacturing is evolving before our very eyes. The Industrial Revolution delivered incredible progress in how things were made and helped to foster generations of growth and economic development. The process of Industrialisation created opportunities for manufacturing, trade and wealth and thereby helped to make poor countries rich as improvements in manufacturing, production and transport were commercialised. Fast forward to today, and it would seem the world is once again evolving its industrial processes to become better at producing integral goods and services. 3D printing is shaping up to revolutionise the entire manufacturing process, removing a lot of waste and middle-men in the process. RBO is looking to be at the forefront of this change at the desktop level as it captures the rapidly rising demand for STEM 3D solutions, whilst focusing on mass customisation for consumer home manufacturing markets. The very DNA of how manufacturing works is changing and it spells both dangers and opportunities for swathes of society. So it could be the time to board the next industrial revolution, and take a look at a company such as RBO that is growing in reputation every day. On your marks, get set, print.